Increasing regulations are forcing pharmaceutical manufactures to source disposal solutions for their patient's therapy waste. From auto-injectors to syringes, patients and the government are becoming more aware of the risks associated with the generation and disposal of this waste in a home setting. 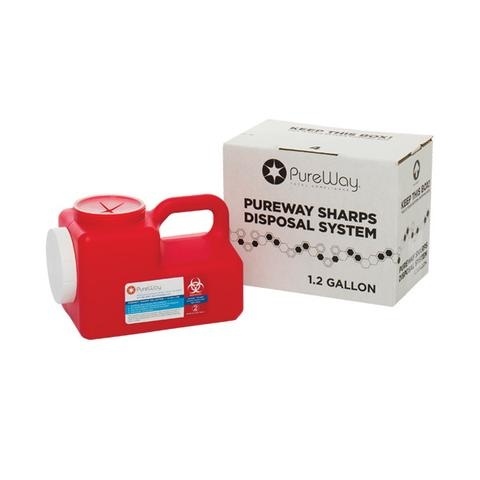 PureWay manufactures sharps containers and sharps disposal by mail systems for the safe transportation and disposal of sharps and other healthcare related waste. 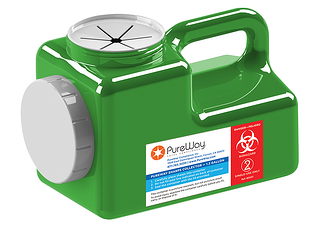 All containers are FDA 510k approved sharps containers and each system as been tested and approved through the united states postal service (USPS).